Many of these images are copied from an album kept originally by Margaret Susan Mansfield (1863-1939), wife of Reuben Gregory McCoskrie. 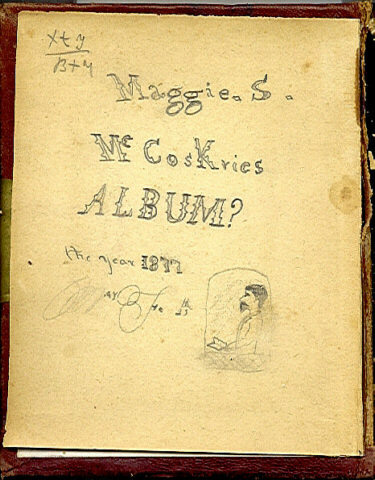 The album was passed down to their daughter, Nannie Belle McCoskrie. Both mother and daughter annotated some of the photos. Other photos were in the possession of Reuben's brother and sister-in-law, Isaac Lewis McCoskrie (1867-1926) and Emma F. Bryan (1868-1912). Thanks to Christine Metzner for sharing these images! Bryan, Dora McCoskrie, Leona "Ona"
Hicks, John McCoskrie, Reuben G.